In My Own Words In this installment of In My Own Words, Lauren Edwards gives an overview of Cross Country and what it takes to compete. 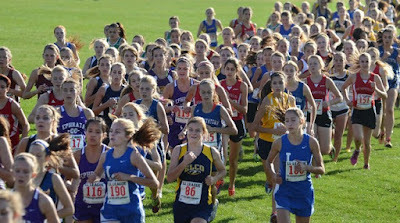 I'm a part of the cross country team, and one thing that I enjoy doing is running. At cross country we run a minimum of two miles every day. Although we are running by ourselves, this is a team sport. It has taught me many things, including sportsmanship, endurance, and nutrition. On Monday at practice we ran the perimeter of the school starting at the high school and going right towards the water tower, then ending back at the high school. On Tuesday we did the same thing but going left towards the baseball fields. Either way the perimeter is 2.3 miles. On Wednesday we went for a 30 minute "free run" as an easy day because the team had a meet on Thursday. At the meet my goal for a time is 18:00 which is a good time to be able to beat by the end of the season. The Garden Spot FFA kicked off the summer with a three day trip to Penn State for Pennsylvania FFA State Convention on June 13-15. Twenty-Seven members of our chapter attended the convention to not only learn more about FFA, but to also compete against other chapters in Career and Leadership Development Events, commonly known as CDEs. The Meat Evaluation and Technology team placed 3rd, with Connor Ranck receiving a gold medal, Brandon Miller receiving silver, and Bryce Good receiving bronze. The Ag Technology and Mechanical Systems team placed 14th with Kyle Spotts, Jared Risser, Jordan Martin, and Steven Shepherd receiving bronze medals. The Ag Sales team placed 3rd with Leah Welk receiving silver and Jess Herr, Gracie Hess, and Danae Ranck receiving a bronze. The Milk Quality and Products team placed 6th with Bella Eckert and Hannah-Grace Baxter receiving silver and Logan Wright and Kat Friend received bronze. Tobias Leaman received a gold medal in the Poultry Evaluation CDE.